I've only recently followed the Professors blog despite, this I felt inspired to do a post on her monthly assignment. The assignment brief was to show how we spent our Halloween at home, how we decorated our home, if we spent it with the family going trick 'n' treating, a dinner or had small house party on this most darkest of holidays. To be completely honest, I saw no point in decorating my flat for this most holiest of holidays for the alternative community. The reason I made no effort on Halloween as I was on a 12 hour shift at work. After finishing work, I planned to attend my friend's wedding party, who recently got married whilst they were on holiday, and they wanted to celebrate it with their friends who couldn't attend. My post is going to be more interruption of the assignment, however, it could also be argued home is where the heart . Home can be considered as mental state and not necessarily as a physical entity of a house. For me when I am around my friends and loved ones I feel like that is my home. 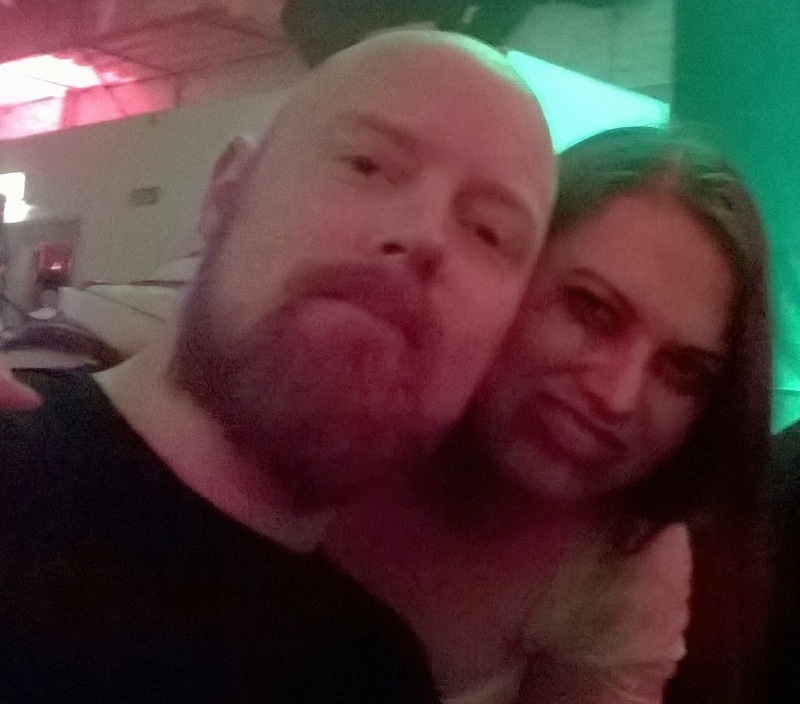 Getting back on track, I spent my Halloween celebrating my friends' marriage and catching up with old friends. This is a photograph of my friends, Kerry-Anne and Adam who got married whilst on holiday. Kerry- Anne even wore her wedding dress, and she was dressed up as the undead bride, which looked amazing. These are my friends, Foster and Angie who I haven't seen since their wedding, which was two years ago. 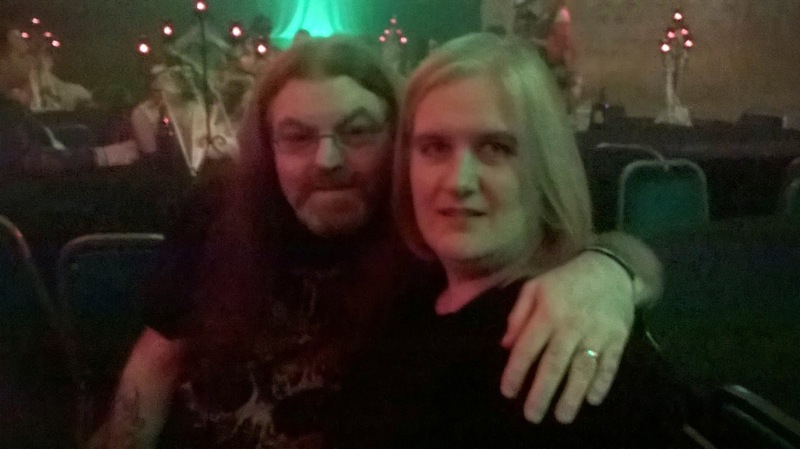 This was the classic rocker table - the couple sitting on the table are Rosie and Doc, who are a couple of local legends from the Newcastle rock scene and used to some sensational rock nights, especially, their black metal nights at the O2 academy. I may get into trouble for saying this, never mind the really smiley guy with glasses is my boyfriend. 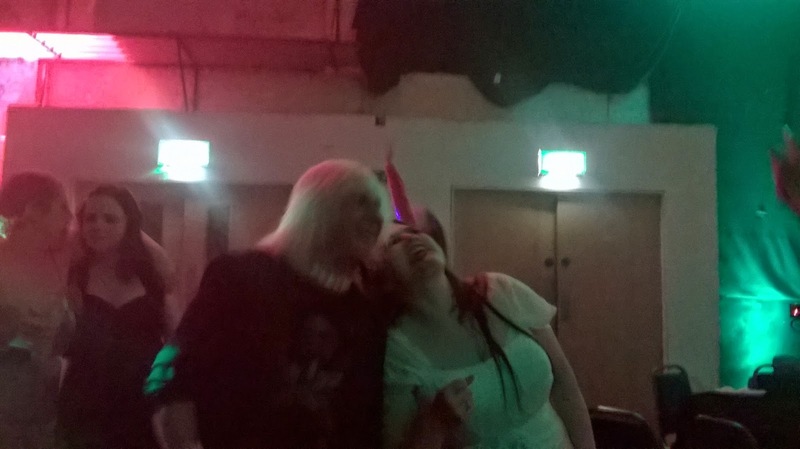 The party took was held within a place called the Warehouse 34, which is an old warehouse used to cater for events. 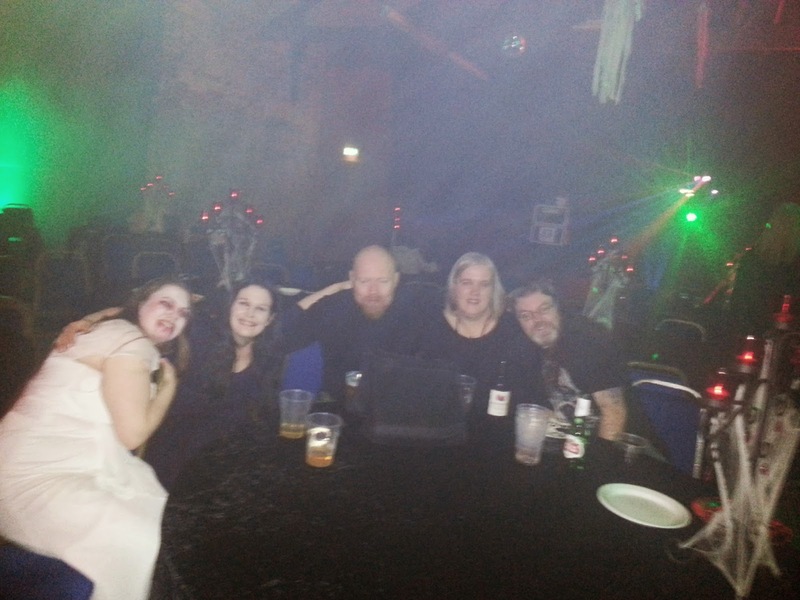 The venue looked fantastic with the red lights and the table spreads, it really added to the spooky atmosphere. The tables were covered over with black velvet; there were Gothic ornate candle stands covered in fake cobweb and spiders. It created a dark and mysterious ambiance, which made it feel like Halloween. 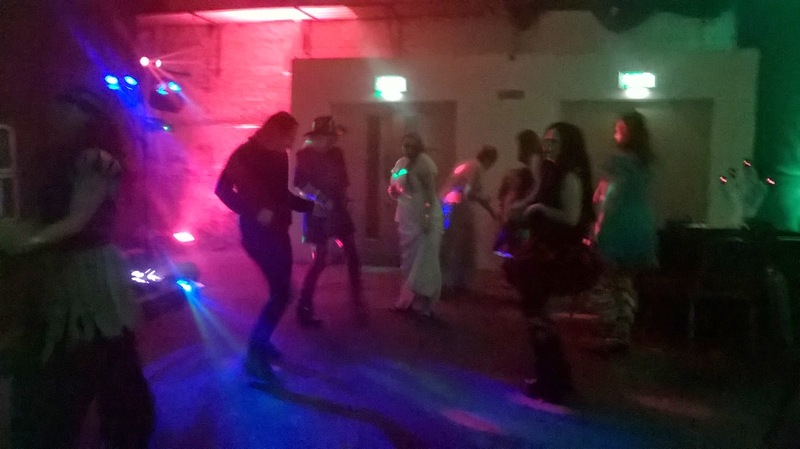 My friends organised for a DJ;played a good selection of classic rock and heavy metal songs. It felt like old times when we all of us used to go out clubbing on a Saturday night to Legends, that sadly no longer exists. 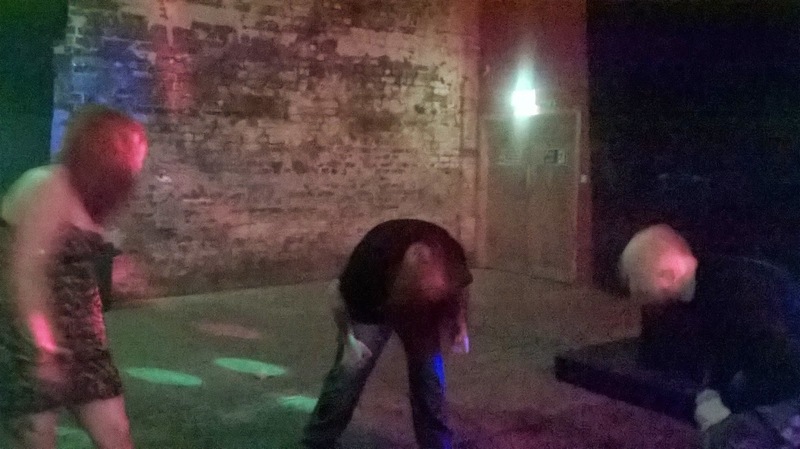 It was great to see everybody getting up, dancing and headbanging. 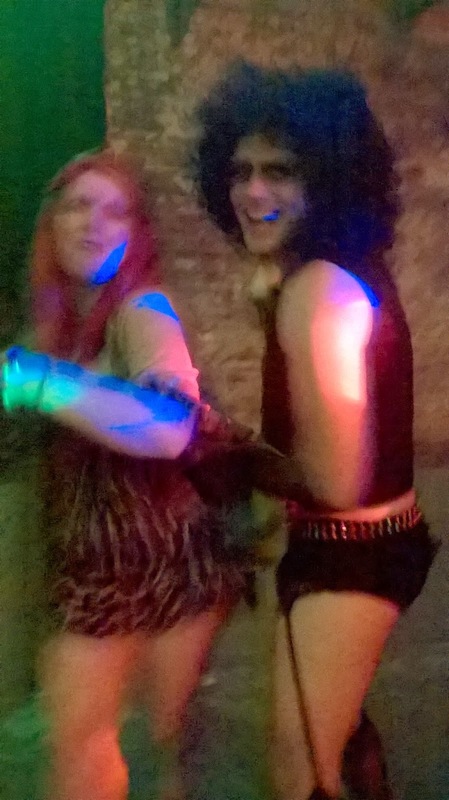 During the night there was even a engagement it was hilarious seeing Dr. Frankfurt proposing to his girlfriend dressed as a fifties style cave woman. Who did say 'yes' to the proposal. 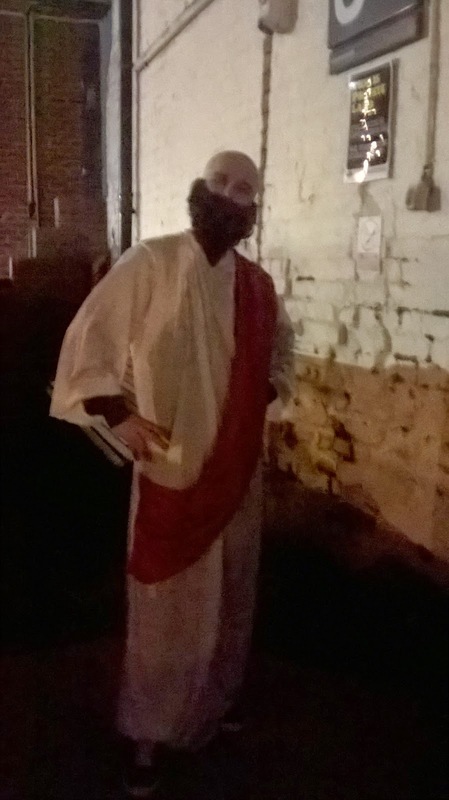 This was Jebus, I thought this outfit looked phenomenal, it's not often you see someone dressed up as the generic version of the Messiah.We both joked. He said, 'I'm the Messiah' and I replied, 'you're not the Messiah, your a very naughty boy'. I love these costumes of people dressed up as Caterina dolls, which are commonly displayed in Mexico during the celebration of Day of the Dead. That Kerry-Anne's sister Caroline dressed as bridesmaid of the living dead. I loved this Dr Frankenfurt's costume he looked amazing and I felt as though he was really Dr Frankfurt and he had persona's to match. 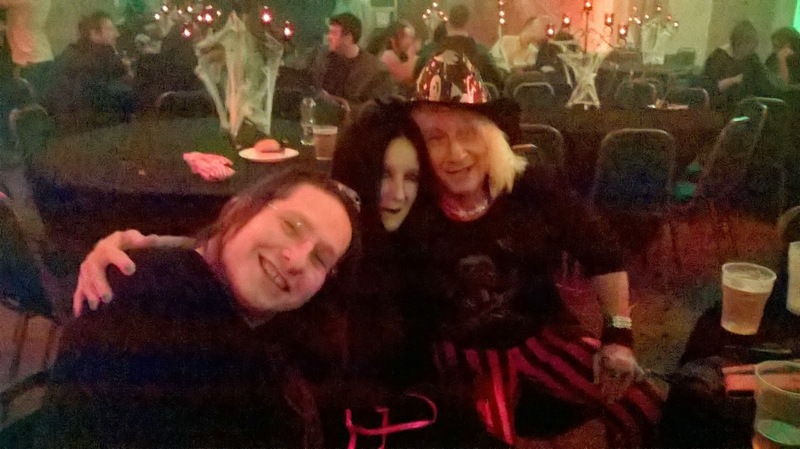 This is a picture of us all together it was great to see everyone and spend Halloween with each other. 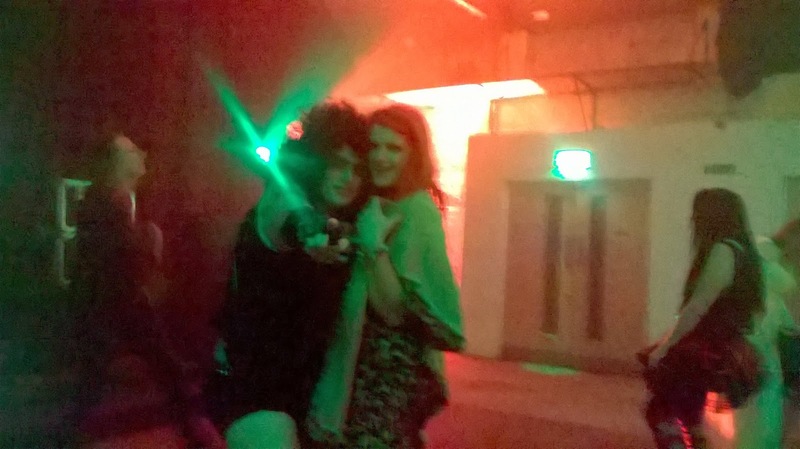 One of the best Halloween celebrations I've had. Home is truly with friends!!! LOVE IT! That venue is amazing -- we don't have anything like that here in NYC. Everything here is so slick and modern. Ugh. Thanks for participating. Thanks for commenting on my blog. 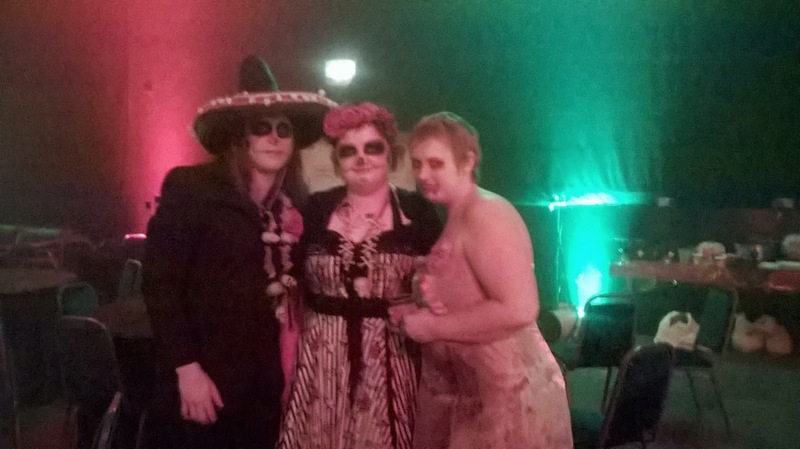 Yes, it was a great night, I think we were all merry and I have to admit the costumers were fantastic. Oh, yes I forgot to mention the fifties cave woman accepted the doctor's proposal.